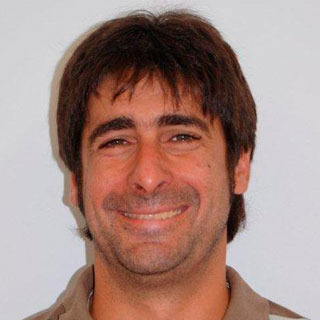 Dr. Antonio Velarde is a researcher in IRTA (Institute for Food and Agricultural Research and Technology-Spain) leading different projects on animal welfare. He started his scientific work in the section of ethology at the School of Veterinary Science of Barcelona on a project on effect on stunning system on welfare and meat quality in pigs and sheep. Main research projects and interests include the European projects “Integration of animal welfare in the food quality chain: from public concern to improved welfare and transparent quality (Welfare Quality® - Food-CT-2004-506508. 2004-2009), and “Religious slaughter: improving knowledge and expertise through dialogue and debate on issues of welfare, legislation and socio-economic aspects (DIALREL- 043075. 2006-2009). He has published many papers in international and national journals and has been member of the working groups ‘on the welfare aspects of animal stunning and killing methods’ and ‘Welfare aspects of piglets castration’ of the Panel on Animal Health and Animal Welfare of the European Food Safety Authority. Neonatal mortality does not only depend on the design of the farrowing crate, but also on genetic and management factors, as well as litter size, especially with the increased use of hyper-prolific dam lines. To prevent tail biting, animals must be able to express their exploratory behaviour in an appropriate manner. This article presents the points to consider when choosing the most appropriate material. The productive and behavioral results found in this study suggest that GRH immunization is an alternative to surgical castration. During the unloading, the animals’ ease of movement is evaluated based on the percentage of animals that slip (loss of balance without touching the floor) and/or fall (any part of the animal besides the hooves touch the ground). Here we present a brief summary of the different proposed measures of the Welfare Quality® protocol for the evaluation of the welfare of the pigs on a farm. The European Welfare Quality® project has developed systems to objectively evaluate animal welfare on farms and slaughterhouses in order to identify the causes of deficient wellbeing and to assess farmers on possible improvements. The administration of local or general anesthesia, accompanied in all cases by a long-lasting analgesic, eliminates or considerably reduces the pain caused by surgical castration. However, the use of these products has certain limitations.